Uglyworld #286 - Wage & Icebat Try To See Freiburg, originally uploaded by www.bazpics.com. 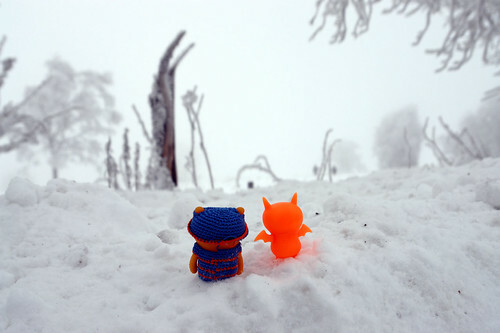 Minimum Wage and Orange Ice-Bat tried their hardest to see from the top of the Schauinsland Mountain all the way down to Freiburg. Mission unsuccessful, but they still tried their hardest anyway.